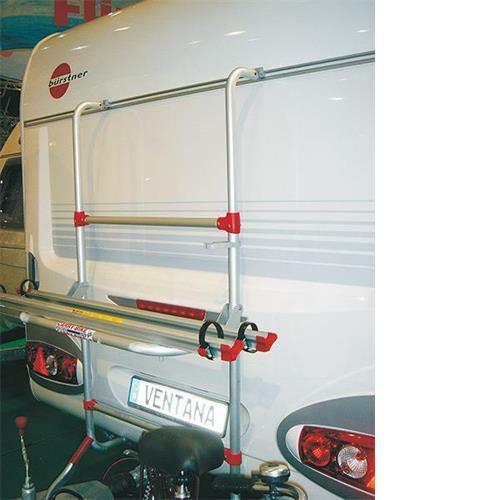 The Fiamma Carry Bike Caravan Universal - The upper installation brackets are secured into the window hinge bar/caravan aluminium rail using 4x 5x40mm stainless steel self tapping screws, the lower mounting points are secured into the floor of the caravan using a further 4x 5,8x30 stainless steel self tapping screws. 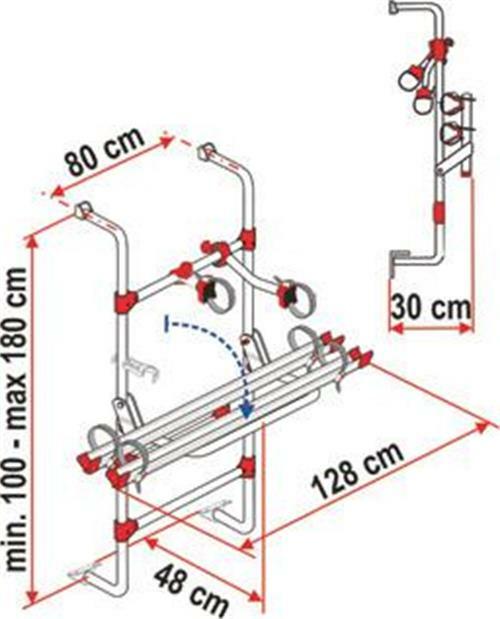 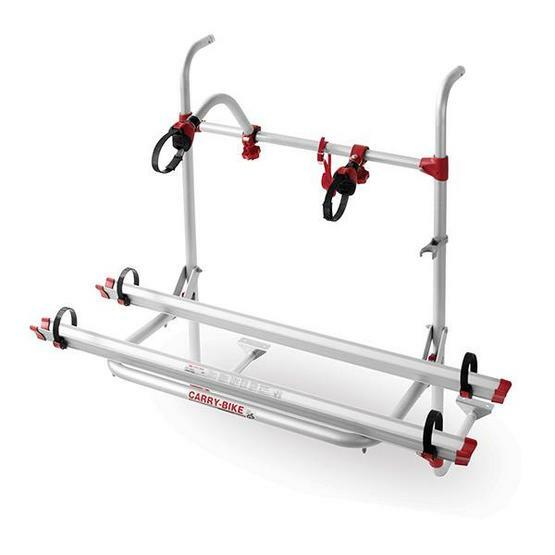 We would advise you seek the advice of a trained engineer before fitting this Carry-Bike, as it may not be suitable for installation to your particular caravan. 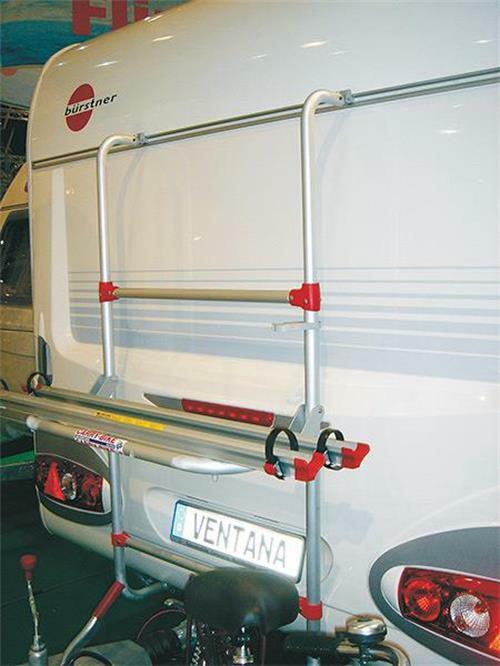 We are unable to offer advise regarding the structual integrity of your caravan. 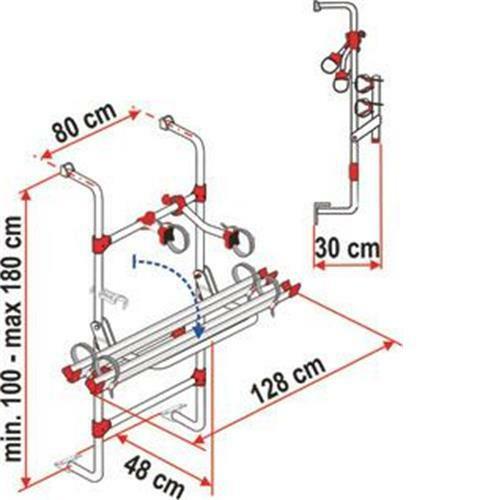 Incorrectly fitted and unsuitable installations could lead to water ingress and/or damage to your caravan.